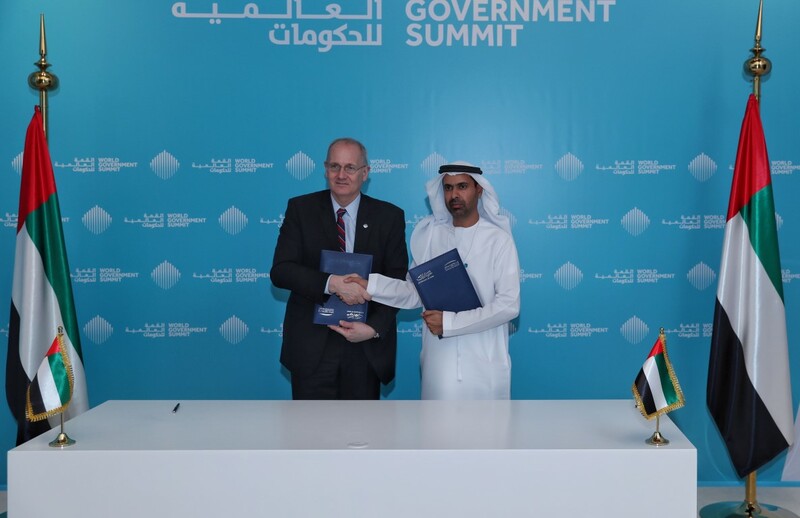 DUBAI, 11th February, 2019 (WAM) -- The Mohammed bin Rashid Space Centre and the International Astronautical Federation, IAF, signed an agreement to host the 71st International Astronautical Congress IAC, from 12th to 16th October, 2020, in Dubai. The congress will be held under the patronage of His Highness Sheikh Mohammed bin Rashid Al Maktoum, Vice President, Prime Minister and Ruler of Dubai, for the first time in the Arab region. This is an exceptional move that highlights the UAE’s leading global position in the space sector. "The UAE's hosting of the 71st IAC, the world's largest space conference, highlights the UAE’s strong global presence in the space sector, its leading global position, and outstanding achievements. This is part of our wise leadership’s support in fostering a space sector that actively contributes to a knowledge-based economy," Al Shaibani said. 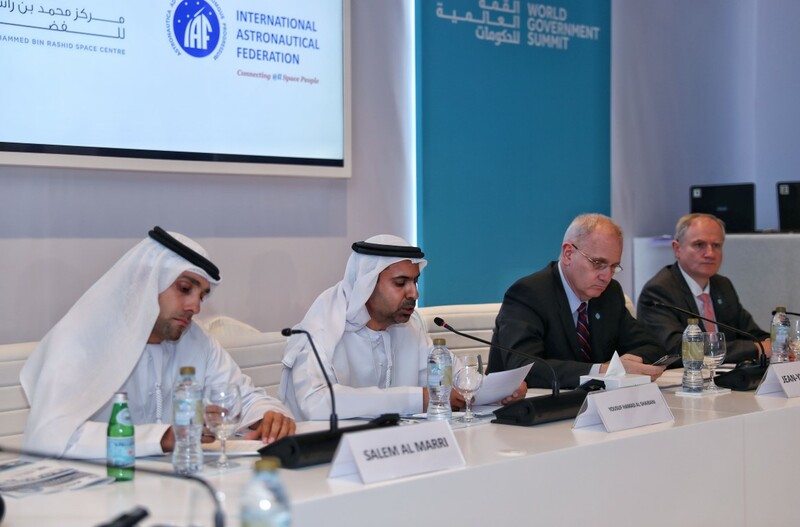 "Signing this agreement with the IAF during the World Government Summit in Dubai shows the global status of the summit, which has become a source of inspiration for governments and people. It also supports the summit's approach in its 7th edition, which focuses on the future of human societies. The IAC is a valuable addition to the conferences hosted by the UAE and a platform that brings together leading space specialists and decision-makers from around the world to share experiences, build strategic partnerships and support international cooperation in space-related activities. We are confident that hosting IAC in Dubai will be a milestone in the history of the event, especially with the launch of the Emirates Mars Mission – Hope Mission in 2020, the Expo 2020 Dubai and other major events in the UAE," Al Shaibani added. Le Gall said, "Today is a particularly memorable day as the IAF and the MBRSC have just signed the preliminary contract for the International Astronautical Congress – IAC2020 which will take place here in Dubai from 12th to 16th October, 2020. The IAC2020 will be a capital milestone for the Federation as well as for the United Arab Emirates, as it will be the very first IAC to open its doors in the UAE"
"We are confident that the IAC 2020 will not only be a successful event with a record-breaking number of participants but will also pave the way to fruitful discussions and to the involvement and inclusion of more Arabic countries in the space scene. 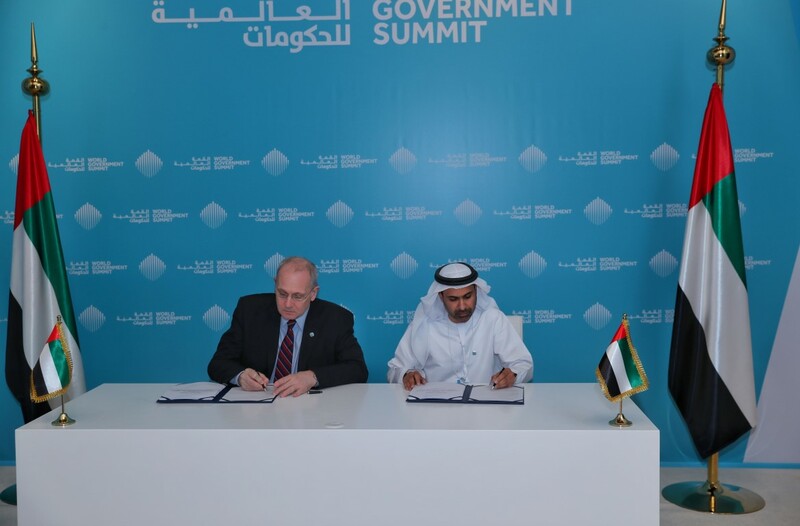 We are positive that the IAC 2020 in Dubai will have a long-lasting impact on the region and will help raise awareness of the importance of space, and its undeniable benefits for humankind," he added. Salem Al Marri, Assistant Director-General for Scientific and Technical Affairs at MBRSC and the chair of the local organising committee of IAC 2020 said, "IAC is the largest global event involving space industry experts. It is one of the key global conferences annually organised by IAF, in cooperation with the International Academy of Astronautics and the International Institute of Space Law. The UAE, a member states of IAF, was selected after MBRSC’s successful bid was announced during a ceremony at the 68th IAC 2017 in Adelaide, Australia, in September 2017." Al Marri thanked local and international organisations that supported Dubai’s bid to host the conference. He stressed MBRSC’s commitment to applying the highest regulatory and logistical standards to ensure the success of the event to suit Dubai’s reputation in hosting the most important international conferences. He highlighted that the conference will be accompanied by a large space-related exhibition, as well as a programme for students and youth interested in the space sector.